Members of The South Florida Black Arms Gun Club. 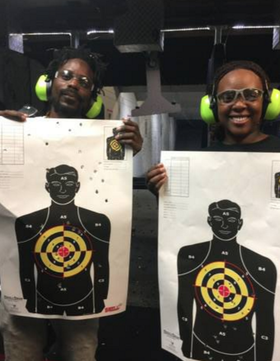 A new gun club in South Florida is geared towards training black gun owners and teaching people to support the Second Amendment within the black community. 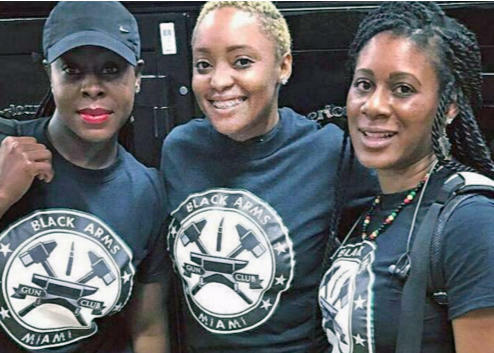 The South Florida Black Arms Gun Club is one of the newest chapters of the National African American Gun Association. 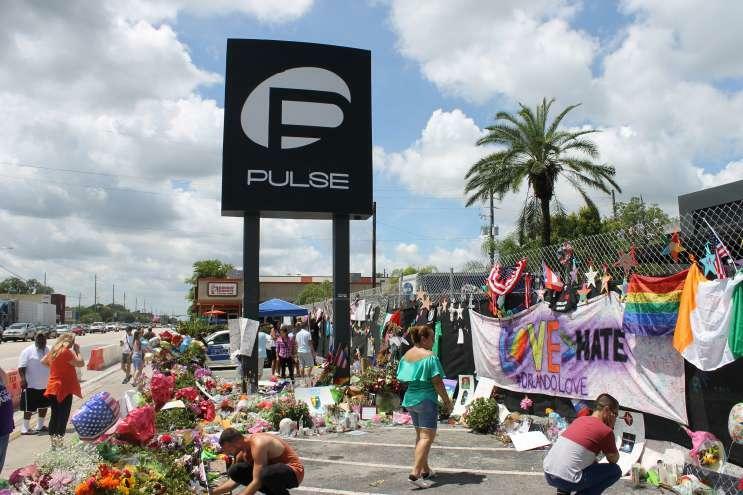 WLRN’s Nadege Green spoke with Travis Campbell, who started the club. Why did you start the black arms gun club of South Florida? As a black man here in South Florida, going to the range I didn't see people who looked like me. I just felt there was a necessity to try and create something that would attract black people and also bring new African-American, Caribbean and Afro-Latinos into the fold of the shooting community. What is it like at a meeting for the black arms gun club? It's a wide range of people — young, old, gay, straight, professional. We do talk about the history of the black gun owner in the Americas, in particular dating back [to] the influence of guns within the civil rights movement, which is a part of history that's not really spoken about starting with the Deacons of Defense in the South and how they were acting as bodyguards for a lot of the movement members. And just tearing down stereotypes and taking control of the narrative of the black gun owner. Black people can't shoot, black people are irresponsible, if a black person owns a gun then they're a thug. These are the type of stereotypes that have been very detrimental to people within our community for far too long and it's something that needs to be addressed. We touch on different points like the basic fundamentals of firearm safety. 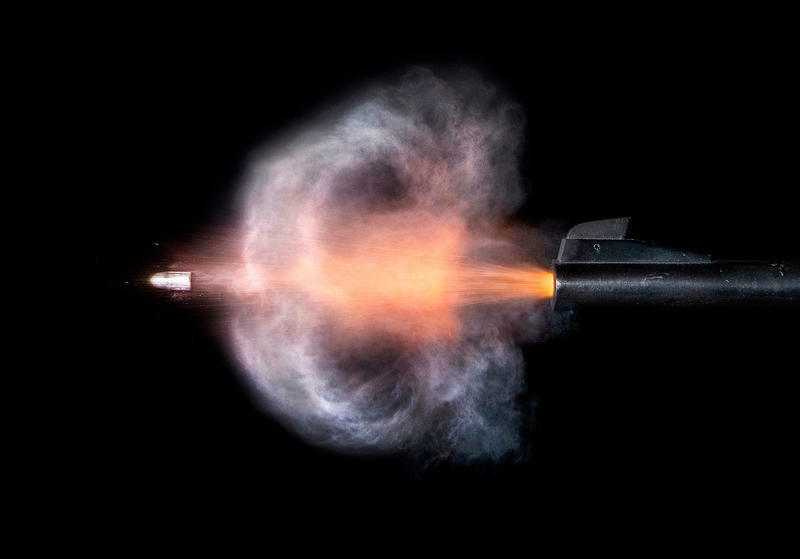 We have a very knowledgeable NRA certified firearms instructor who comes and he acts in different roles during our range days to make sure that people are safe and that people are getting the right information. Philando Castile was killed by a Minnesota police officer last year. He was licensed to carry a gun and he told the officer he had a gun. Within seconds of telling the officer he was armed, the officer shot and killed him. The case went to trial and last month the officer was found not guilty on all counts. After the verdict, your group released a statement explaining what black gun owners need to do if stopped by the police. What should they do? First of all when you're stopped by the police already have your concealed carry permit and your license out and your registration to limit motion. Once the officer approaches your car idealistically we like to tell people to keep their hands on the steering wheel and in plain view. If you have other people who are riding with you also let them know to keep their hands in plain view so nothing happens. There definitely in this country exist double standards for black people. And that's a reality that we need to face as a country. If there's any violations on the part of the officer report it to your local organization or to the police department. Don't try to hold trial or court on the side of the road; just remain silent. I would rather get home and I want everyone else to just get home to their loved ones. The National African American Gun Association of which you're a part of reports a significant rise in members after President Donald Trump took office. What have you heard from some of your new members about why they joined now? Understanding the demographics culturally in terms of the issues that plague the black community, I think that's what's appealing about the National African American Gun Association. They're looking for someone within the gun community to represent them the way that other organizations have lacked to do in the past. Historically as a community, we kind of shied away from exercising our Second Amendment right and to have someone within our community who's kind of championing that cause. I think that's very appealing for people.